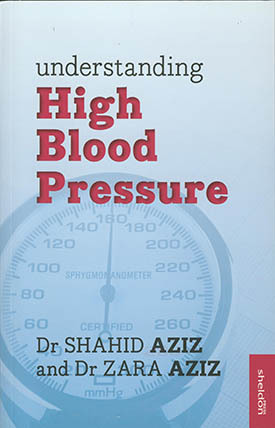 Retired senior nurse Val Brownley reviews understanding High Blood Pressure by Shahid Aziz and Zara Aziz. As an increased number of patients are taking responsibility for their health, this publication is timely. Designed for the general public, it covers a range of topics linked to high blood pressure. It is comprehensive, well presented and written in a tone and language suitable for its purpose explaining succinctly what hypertension is and how it’s measured and diagnosed. Also included are the causes, treatment and lifestyle issues affecting blood pressure control. There is a particularly useful chapter on drug treatment, which details types of medication available and their effects on the body, with a useful table of trade names and drugs used. It is part of a series of books on overcoming common problems and is quite affordable. It will be a useful resource for groups of nurses to refer to and recommend to patients – particularly those newly diagnosed with hypertension.